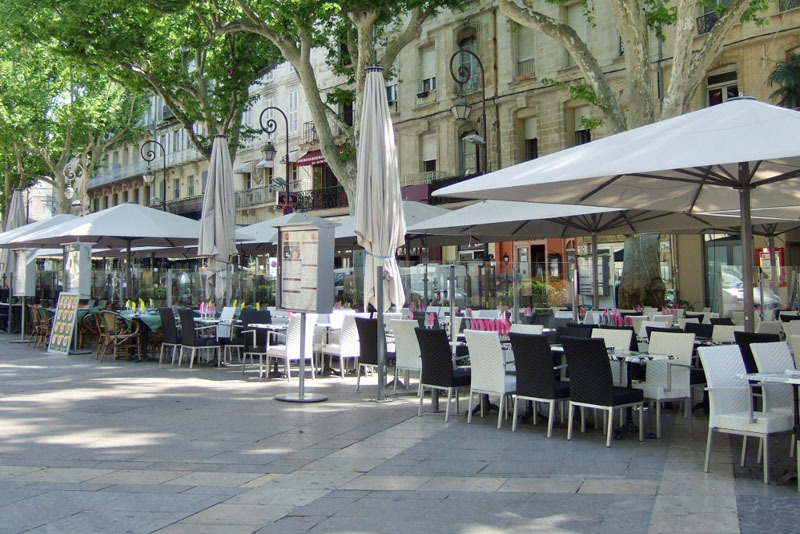 I recently discovered the wonderful city of Avignon in the region of Provence in the south of France. I was on a Mediterranean cruise and opted for a shore excursion here from the port of Marseilles. I was not disappointed! 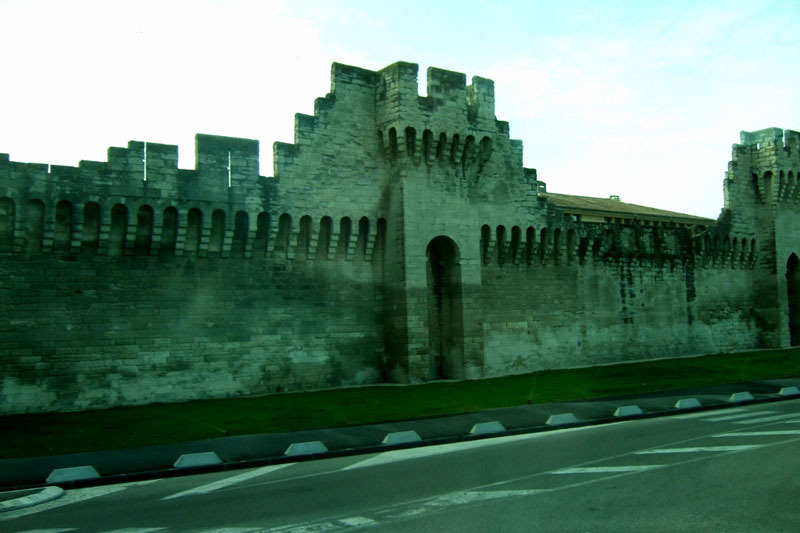 Avignon is a medieval city which is surrounded by an ancient stone wall. With a population of close to 100,000, about 12,000 people live inside the walls of the "old town." The smell of lavender is in the air as the many of the small shops specialize in items made from this flower which grows abundantly in the surrounding countryside. I particularly enjoyed wandering around the narrow cobblestoned streets as I explored this famous city. Of course I found several boulangeries-pâtisseries, otherwise known as French style bakeries, and savored the taste of fresh French bread as I walked around. With as university presence in Avignon, the city has many young people, and Avignon is also famous for some specific landmarks. 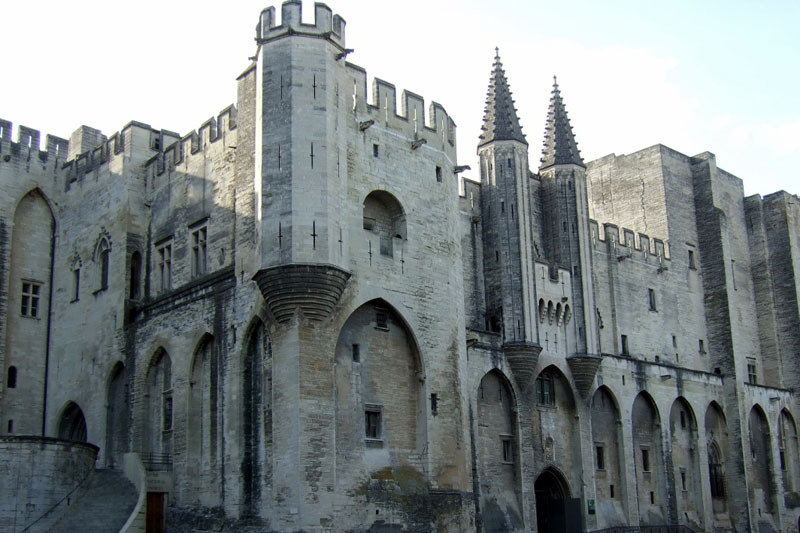 These include the Palace of the Popes, Pont d'Avignon, Place de l'Horloge, and the Little Palace Museum. Avignon is also home to the summer theater festival aptly named Festival d'Avignon. Also known as the Palais des Papes, this is the largest Gothic palace in the world. Built in the 14th century, a total of seven popes lived here, although later two of them were deemed to not be true Popes. You can tour this famous palace and visit the twenty rooms inside. In the summer an art exhibit takes place in the Great Chapel. The Palais des Papes is one of the most visited monuments in France. This beautiful bridge has become a symbol of Avignon and actually has two names, known also as Pont St-Bénézet. 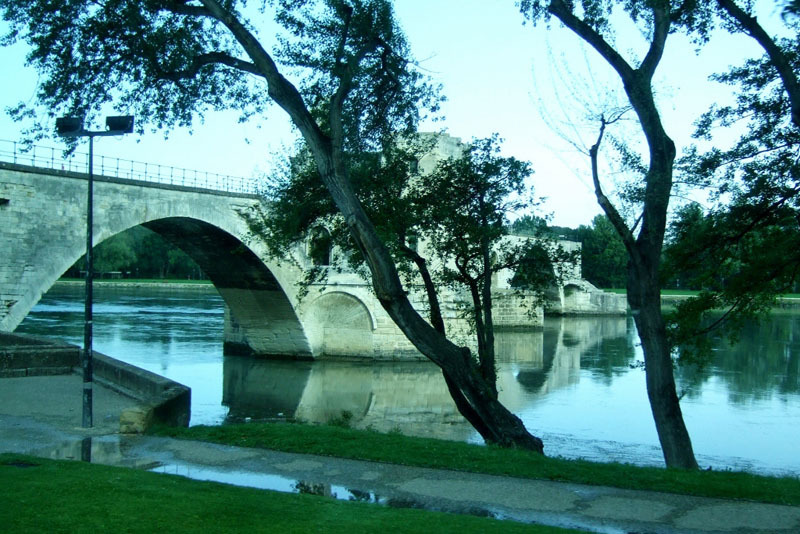 Crossing the Rhone River, the Pont d'Avignon was constructed in the 12th century. A devastating flood in 1668 demolished much of the bridge, leaving only four of the original 22 arches standing. I loved photographing this awesome bridge from various angles and lighting situations. French children actually memorize a nursery rhyme which was written about this bridge many years ago. Known also as Clock Square, this is the heart of Avignon, the main piazza or square or place, as they say in France, where everything happens. The well-known 19th century Opera Theater and city hall dominates the square, and there is of course the famous Clock Tower. There are probably ten or twelve outdoor restaurants and cafes, some of which specialize in home-made ice cream. When I was there on a weekend in May, some local musicians were setting up to perform and vendors were setting up their tables selling jewelry, soaps and other items. The atmosphere was lively and fun. This 14th century Musée di Petit Palais is in the same square or place as the Palace of the Popes, just opposite from it. Formerly a bishops' and archbishops' palace, the museum was also the papal headquarters during renovation to the Palace of the Popes. The exterior architecture is a work of art in itself with all its detailed sculptures. You can tour the 19 rooms inside this landmark with its religious paintings, sculptures and frescoes of famous Renaissance artists Botticelli, Carpaccio, Bellini and others. The entrance fee is six euros for adults and three for students over the age of 12. Children under 12 have free admission to the Musée di Petit Palais. I was in Avignon in May so I missed the big summer event which occurs for three weeks every July. The well-known Festival d'Avignon has been drawing crowds to over 90 percent capacity. For the past 66 years artists and actors have been entertaining visitors with live theatrical performances. Every year approximately 20 different venues, including both outdoor and indoor, are made available for the 35 to 40 different shows being staged. The venues seat anywhere from 50 to 2000 spectators and throughout the festival an average of 300 performances are staged. Beachcomber Pete is always looking for new authors, travelers and world explorers to share their travel stories, hints and adventures. If you are interested in sharing your adventures to help expand Beachcomber Pete Travel Adventures and would like to be a guest author, please contact Beachcomber Pete for more information. Looking to reach the long term travel and adventure market? Beachcomber Pete offers a variety of advertising packages that will help you reach users of Beachcomber Pete Travel Adventures. Please contact Beachcomber Pete for more information.